Unlike commercial calendar software that could cost your customers over $100 or more, desktopADvantage Calendar provides a free, full-featured alternative. 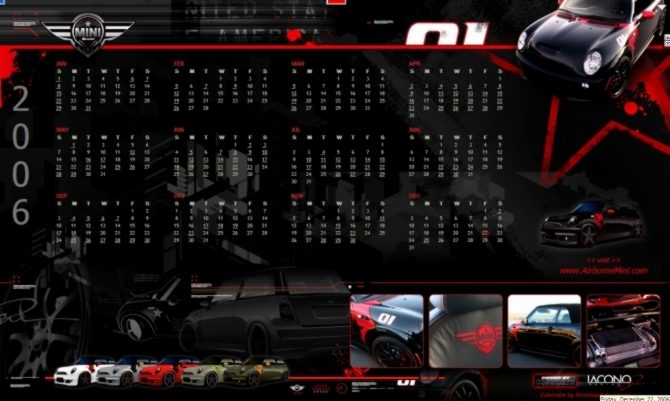 A professionally designed graphical interface that's completely customizable with your company's brand ensures a high quality, finished product your customer's will proudly display on their computer desktop. With an estimated 18-month useful shelf-life, desktopADvantage Calendar's three year annual view allows your customers to instantly view their complete schedule for years to come. Your customers are only a click away from your company's products and services. Customers can view their schedule for the upcoming week in one convenient view, allowing for easy appointment scheduling and avoiding schedule conflicts. An intuitive, easy-to-use to-do list provides a virtual all-in-one notepad of your customers' upcoming tasks. Instant desktop reminders virtually guarantee that your customers will never be late for a scheduled meeting or appointment again. Our patented tabbed interface with drop shade viewing makes scheduling appointments, reviewing to-do lists and accessing your company's website a snap. Fully customize your desktopADvantage Calendar interface with up-to-the-minute, real-time web content and news related to your business. Your users gain instant access to sporting schedules, weather forecasts, local news and more! User-friendly Quick Look feature allows your customers to view appointments and scheduled tasks at a glance by simply hovering over the Calendar interface – no mouse click necessary. One click automatically fills out the entire display with a full screen drop-down calendar that doubles as the ideal privacy screen.